Karate is a martial art that originated in Okinawa with strong roots to China; it was also frequently called kenpo. The term “karate” originally meant “Tang-Hand” (China-Hand). The name was later changed to “Empty-Hand” when Japan invaded China (for obvious reasons). Traditional Okinawan Weapons – Note: the 3-sectional Chinese staff. In the 1940’s-1950’s servicemen returning from Japan and Korea introduced karate to the West. In contrast to jujitsu, which was introduced roughly 40 years earlier, karate had a more momentous impact. It quickly gained popularity via Hollywood from the 1960’s in movies and TV, notably: Mission Impossible, The Avengers, Man From U.N.C.L.E, The Pink Panther, Star Trek, Billy Jack, and James Bond. From the beginning karate was perceived to be a highly secretive and mysterious Eastern fighting art – thought to exceed the capabilities of Western fighting styles. Hollywood highlighted the knife-hand (shuto) as the archetype of this martial art. The terms “karate chop” and the misapplied term “judo chop” became emblematic of karate and part of the vernacular at the time. The story of karate has a rich and fascinating history. The earliest roots go back to the 14th century when Okinawa engaged in cross-cultural interchanges between China and Southeast Asia. By the 20th century the unique stamp of Okinawa was already set. Today karate has become the most popular martial art in the world. 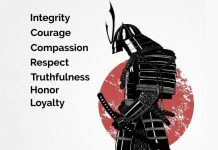 This article is a cursory overview of karate, some of its shortcomings and how to update it to deal with 21st century violence. This is in no way an intensive and detailed overview of the subject. From its inception, the purpose of karate was clearly defined – it was a close-combat fighting system to be used for self-defense. Choki Motobu, a famous karateka stated, “Nothing is more harmful to the world than a martial art that is not effective in actual self-defense.” Even in his day Motobu saw the gradual transition from “karate-Jutsu” (fight aspect) to “karate-do” (the art aspect). The story of Karate and its derivative styles is complicated. Essentially, it falls into 4 main style categories. 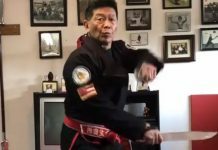 Okinawan, Japanese, Taekwondo and Kenpo – the common denominator is that they all emanated from the same point of origin – Okinawa, and the techniques were all linear. Karate was born from a blend of Chinese and indigenous Okinawan martial arts. The first reference to the term “karate” [that we know of] was in 1722 by an Okinawan named Sakugawa who studied martial arts in Fujian China. However the term kenpo was also used. 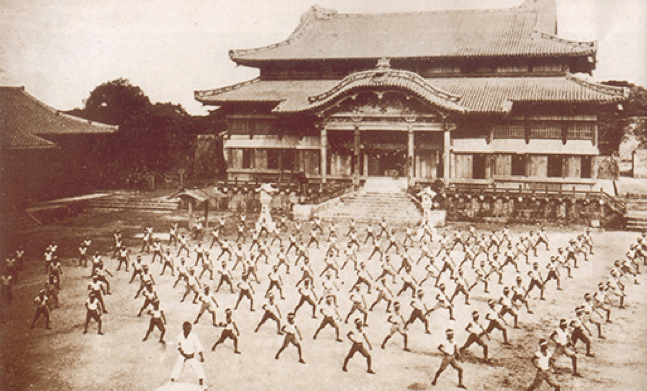 Throughout the centuries, many Okinawan’s traveled to China to study martial arts. Some historians believe a great number of karate’s methodologies and skillsets were actually a collection of Chinese martial techniques that were carefully selected to meet the needs of the Okinawan’s. Okinawan karate utilizes a relaxed fighting posture employing natural upright stances. Practitioners prefer to fight in-close, and often apply arm-locks, sweeps, and takedowns; classes are usually small. Physical conditioning was also an intrinsic part of some styles. Gichin Funakoshi, an Okinawan, created Shotokan Karate and introduced it into Japan around 1921. Another Okinawan, Choki Motobu, similarly traveled to Japan to teach his style of karate but never achieved the overall success of Funakoshi. To make this new fighting style more palatable to Japanese culture, it was infused with Zen Buddism and militaristic overtones. (Note: *Motobu was said to have decisively beaten Funakoshi in a match in Tokyo). Taekwondo is arguably the most practiced and popular martial art in the world – it’s also an Olympic sport. Some sources indicate over 30 million people practice it in more than 100 countries. There is a general misperception that Taekwondo is a purely Korean art, it’s not – modern Taekwondo is essentially Shotokan karate. Japanese karate most likely influenced Korean martial arts from the 1940’s – near the end of their occupation. There were previous styles of Korean martial arts that employed kicking and punching such as Taekyon but Taekwondo became more popular. Keeping true to its culture, the style is much more kick oriented than Okinawan and Japanese styles. There are innumerable stories concerning the origin of kenpo. However many of them are nebulous and outright fictional. One version claims that kenpo was introduced into Japan from China around the 16th century (some say even before then). It’s possible – except no clear and reliable provenance has ever been established. But the China – Okinawan lineage is indisputable. (Note: Many Okinawan’s returning from China called their style kenpo). In the early 20th century a Hawaiian born Japanese, James Mitose, was studying martial arts in Japan. (*Note: Some people believe that Mitose studied with Motobu). When he returned to Hawaii in 1937 he started teaching kenpo to a select few students – one of them included William Chow (Note: Chow’s motto was “Kenpo is for the street first”). In 1944, William Chow started teaching his mix of kenpo in Hawaii. He was also influential in spreading it to the U.S. mainland. Like Motobu, he shunned kata in favor of developing powerful street effective techniques. One of William Chow’s students was Ed Parker, who developed his own style called American Kenpo. Parker added circular movements, which were inspired by Filipino martial arts. Parker’s most famous student was Elvis Presley. Ultimately kenpo grew in popularity and was subsequently modified and revised by students to include five influences, which were: Chinese, Japanese, Okinawan, Hawaiian and American. In keeping with its objectives of being a tough street style, Kenpo began to veer away from a martial “art” into an aggressive “fight” style. The overall impression of karate in the U.S. and Europe during the 1950’s and 60’s was that karate masters, to all appearances, had extraordinary abilities and were virtually unbeatable. Despite that, three important things took place over the years to slightly diminish that perception. From the early 1970’s, the media occasionally reported stories about karate black belts being mugged or beaten up. 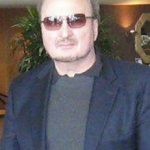 The most famous case occurred in 1971 when a female black belt in California was thrown to the ground, raped and badly beaten. She was completely unable to defend herself. 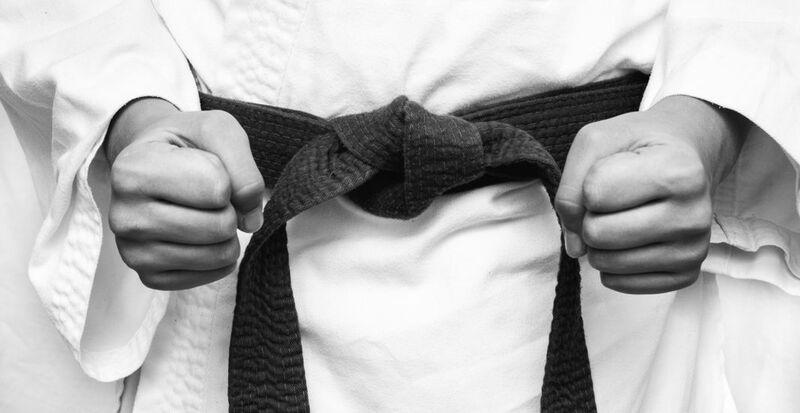 When she returned to her dojo and recounted her experience, the Japanese instructor stated that his style of karate was the best, and that she didn’t try hard enough to fight off the attacker – he said she had shamed her school – she left crying. A dojo classmate, Matt Thomas recognized there was a missing component in the fight mix that wasn’t accounted for – i.e. the effects of adrenaline stress on the body. He applied research from his college studies in biology and psychology to the problem and created Model Mugging. The Theory: when humans are threatened, our bodies autonomically go into either: a freeze, flight, or fight mode. Most people lose non-essential physiological responses that often impede the ability to respond effectively. These Include: Loss of fine motor control, tunnel vision, auditory exclusion, labored breathing and a distorted sense of time. Adrenaline Response Training is a method of scenario training that uses padded instructors who simulate attacks to assist students in mastering their adrenaline responses. Model Mugging led to many other offshoots such as: Prepare, Impact, Kid Power and Fast Defense. With the debut of Mixed Martial Arts (MMA) in the 1980’s and the UFC in the 90’s, many karateka’s were unable to achieve a seamless transition to full-contact fighting. It became apparent that all those so-called deadly techniques were no match for the well-trained and conditioned athletes in MMA. With that said, it’s also important to point out that there will always be that special 1%-2% from any martial art that can do anything. But they are the exceptions not the rule. Nevertheless there have been several fighters who started out in karate and made the switch to become UFC champions. By the late 1980’s and early 90’s many martial arts instructors began to reevaluate their traditional methods of training and examined varying approaches that were attuned to the realities of modern crime. Karate was not addressing edged weapon attacks, multiple attackers, firearms defense, active shooters, etc. Around this time, WWII style combatives began to appear on the scene. (Krav Maga, [for civilian’s] also emerged at this time, (KM is a form of Israeli combatives). The advantage of WWII combatives are: 1. Some of the WWII combatives techniques are still excellent to this day, I teach them in my program, e.g. the spearing elbow, chin jab, eye jab, ear slap, striking with the heel of the hand, knee kicks, etc. 2. Developing and fighting with a determined mindset, 3. Sparring against uncooperative partners. Despite these advantages, WWII combatives never found mass appeal in the U.S. due to several reasons, they were: 1. Some techniques were over exaggerated and heralded as super “deadly.” These were usually practiced hundreds of times against target dummies, not training partners, 2. Combatives never had an answer for dealing with passive aggression, this is where violence can easily escalate or be deescalated 3. Many combatives organizations pushed an overly-zealous and aggressive training regimen – often injuring students. The zeitgeist for Reality-Based-Training (RBT) emerged in the U.S. in the late 1990’s. Jim Wagner introduced the term Reality-Based-Training through a series of articles he wrote for Black Belt magazine. He pioneered a comprehensive series of daylong seminars on a wide variety of topics connected to RBT. Wagner also introduced many RBT concepts to the public that we still use today, including: pre-and-post-conflict phases, scenario-based training, applying props, the use of police tactics, the ladder of force continuum, distorted sensory deprivation and more. Since the early 2000’s there have been numerous offshoots of RBT, all specializing in variations on the theme. However there have been a few drawbacks: #1) Everyone is now using the term RBT– whether they teach it or not. #2) While sport fighters and karateka commit hundreds of hours honing their skills, many RBT students assume a few seminars will prepare them for real world violence – hence they don’t practice much, 3) Weapons training is not stressed enough. On the other hand there are also some individuals teaching remarkable RBT skill-sets sans the popular moniker. James Keating, Kelly McCann, Ray Floro, and Bill Kipp offer exceptional RBT training within their respective specialties (see reference list on the bottom). 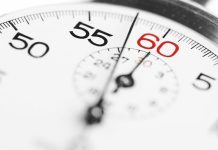 Defense Science teaches its own version of RBT applying the Pareto Principle (the 80/20 rule). Essentially this theory establishes that focusing on the critical 20% of a subject matter can lead to reaping 80% of the total benefits [Of that subject matter]. At its essence, RBT lies in the crossroads of numerous overlapping disciplines including: the military, law enforcement, sports fighting, traditional martial arts, FMA’s, adrenaline stress training, psychology and scientific research – all adapted and reframed to deal with the current state of violence in the world today. Many karateka may be great in an unarmed conflict phase (The fight phase). However most have very little or no experience with pre-conflict and post-conflict solutions, and that can make a world of difference – especially if your goal is to live a long life. 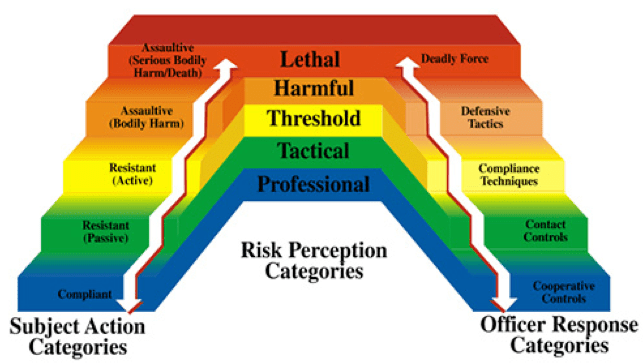 The Pre-Conflict phase consists of situational and environmental awareness, recognizing the pre-indicators of violence, de-escalation, boundary setting, understanding and applying the force ladder (it applies to civilian’s too) and being able to strike preemptively. One of the most important concepts is the preemptive strike, which is anathema to most karateka and traditional martial artists. However, if there is no other recourse available then the best action is to strike first, hard and fast – that is if you want to walk away. The Post-Conflict stage includes: Treating your injuries, staying at the crime scene or running away, what to do if you are arrested and how to handle a court trial? The customary definition of self-defense for most people used to refer to rapes, muggings, robberies, and gang attacks. However this description has radically expanded to include: religious and racial attacks, home invasions, active shooters, kidnappings, car-jackings, acts of terrorism e.g. shooting down civilians, driving into and over pedestrians, attacks from immigrants and violent socialist groups such as antifa. WHAT – DON’T FIGHT BACK? DON’T FIGHT BACK – This is the common mantra we often hear from the U.S. media – but even more so in Europe. “Don’t Defend Yourself, call the police.” Well even under the best circumstances the police will almost never arrive in time. You are solely responsible for your own safety – isn’t that why we train? Violence frequently comes in fast and furious. Due to the excessive political correctness in many parts of Europe the police look the other way when immigrants commit violence. In fact, denouncing immigrant violence on social media in Europe CAN GET YOU ARRESTED AND JAILED. Some countries will even prosecute you if you attempt to defend yourself. Political correctness in Europe and America is promoting a clear and present danger to all our lives. IS KARATE STILL EFFECTIVE FOR THE STREET? Since its genesis, karate has evolved and flourished on the world stage. However, it is practiced as an “ART” – a way of life, not as a method of “FIGHTING”. It has leaned away from its noble defensive heritage. Well, that’s fine – it is what it is. Some karateka may have excellent sparring skills but that only works in an unarmed conflict –most violence today includes weapons – bringing a kick to a knife fight will assuredly get you killed. Nonetheless there is a lack of training that focuses on realistic 21st century street defense – This needs to be addressed. This can easily be accomplished by complimenting your karate skills with adjunct courses in Reality-Based-Training. Bear-in-mind: some old-school Japanese instructors may not approve of extracurricular training – so mum’s the word. However, I have found many Korean styles to be more open-minded and inviting about adding skills outside of their traditional format. In this time and age it’s important to be facile in many aspects of the self-defense game, i.e. skills in: Firearms, edged weapons, improvised weapons, ground defense, the standing clinch, adrenaline stress training, grappling, knowing pre-post conflict strategies, awareness / prevention, and dealing with the law.